Convert your contacts from Zendesk Chat to Leads in RD Station Marketing in order to build better relationships. 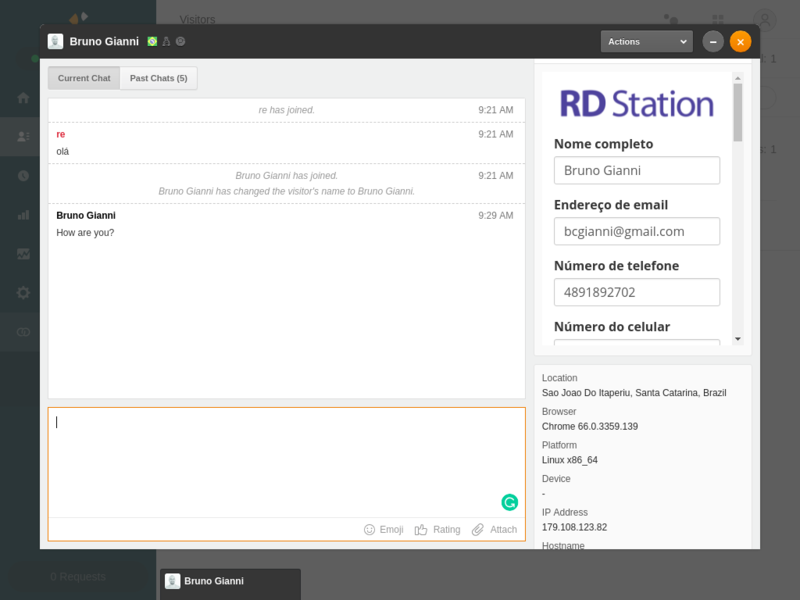 With this app, the chat operator can automatically see directly on the chat window all collected contact information from RD Station, thus helping the service team better personalize the conversation. Aditionally, all Leads information on RD Station can be updated directly from the conversation window, allowing you to nurture them accordingly to the chat information. 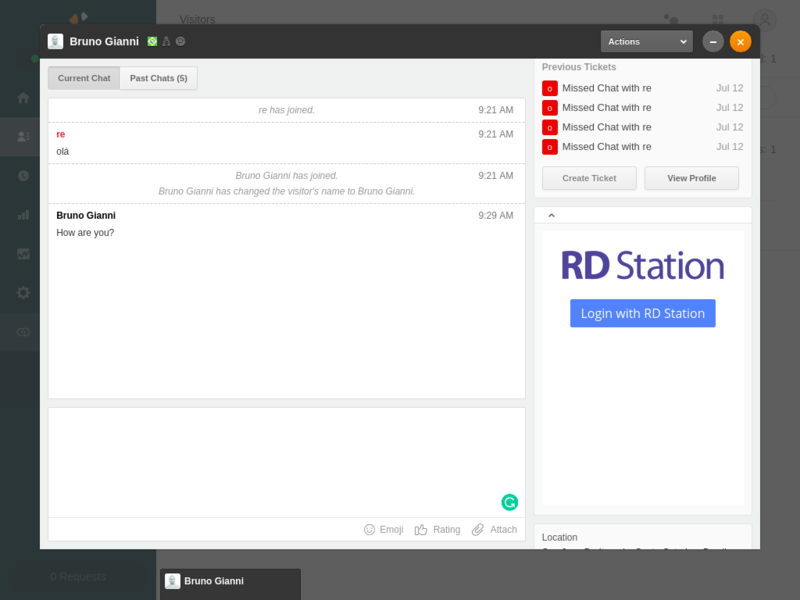 This app is a one-click installation, you must simply click and authorize Zendesk Chat to have access to your RD Station account and you are ready to go. After you install it on your Zendesk Chat account, the app window will be automatically shown on your chat sidebar. By that you will be able to authorize your Zendesk account to have access to the RD Station information. 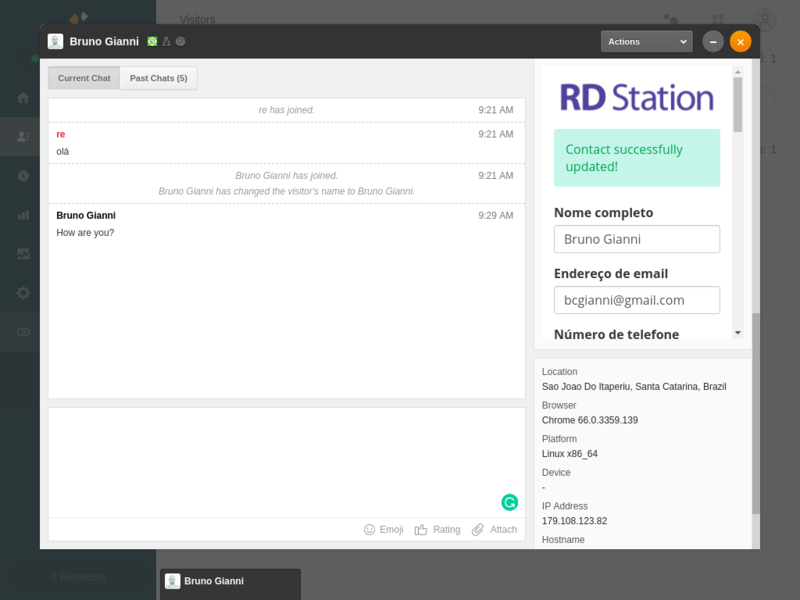 Now, whenever you access a chat conversation, you will be able to see the Contact information from RD Station directly on your chat window.